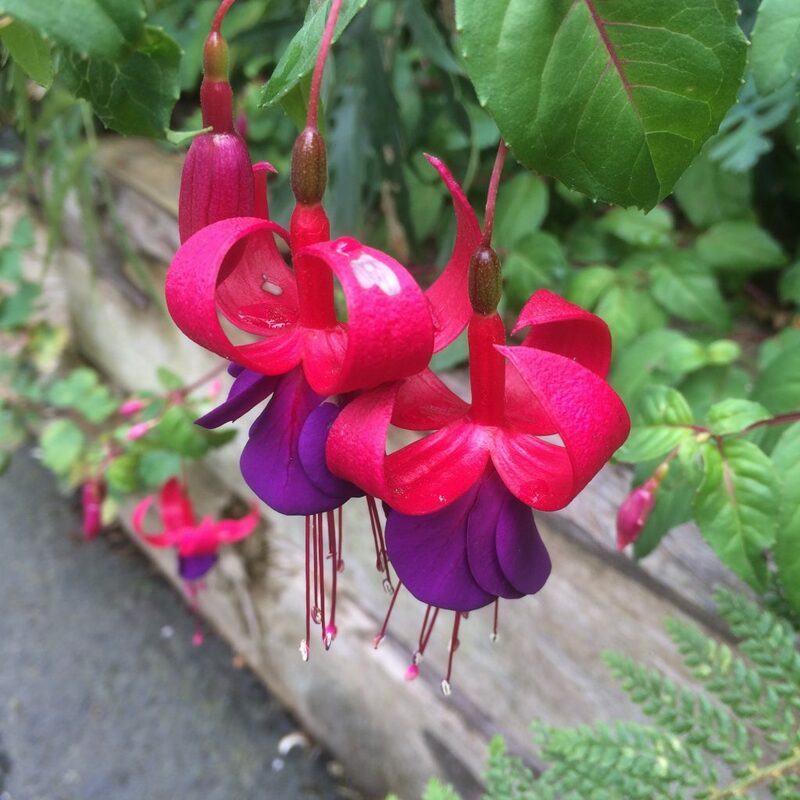 A truly cold hardy Fuchsia with excellent attributes. Wine red stems reveal single flowers with a raspberry red petals that surround an opulently deep aubergine purple corolla. Upright sub-shrub to 2′ x 2′ or larger following a mild winter. Perfectly hardy to cold down to 0ºF. Elegant, profuse blooming care free fuchsia for part shade and rich, moisture retentive well drained soil with regular summer water. Emerges quickly in spring growth surpassing damaged wood quickly and often in bloom by early June. Blooms non-stop until frost. Completely reliable garden Fuchsia.